Think back to the last time you joined a new group of people. Perhaps you started a new job, turned up to a meetup group, or attended a training workshop. Did you have the opportunity to contribute to the culture and norms (the kawa) of the group from the outset? In our experience, it’s hugely valuable to give people in a new group setting the chance to express what they need to work well in a new group. This worksheet was designed to enable a group of school learners at a new school to begin to connect with one another and identify what they need to create a safe, productive space together. Information gained from the third portion of this worksheet (“My Needs “) then feeds into a group kawa (group culture and rules). In the past we had created kawa via one whole group kōrero. Some people told us it was challenging to express their needs that way in a new group. We now prefer to give people individual time to reflect on what enables them to work well with others. This seems to result in more specific statements beyond your stock standard “respect and confidentiality”. 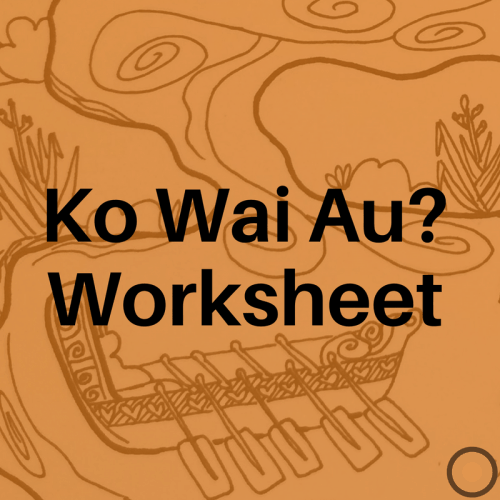 This Ko Wai Au resource was used during the first session of the OJC Wellbeing Collaboration in May 2017, and it makes up the resources from “Session One” of the OJC collaboration. Head to this link to download the full set of lesson plans from our OJC Wellbeing Collaboration. We based it on Ngā Uri Ō , a framework developed as part of our work alongside Youthline and Sovereign.